﻿ Site Analysis. 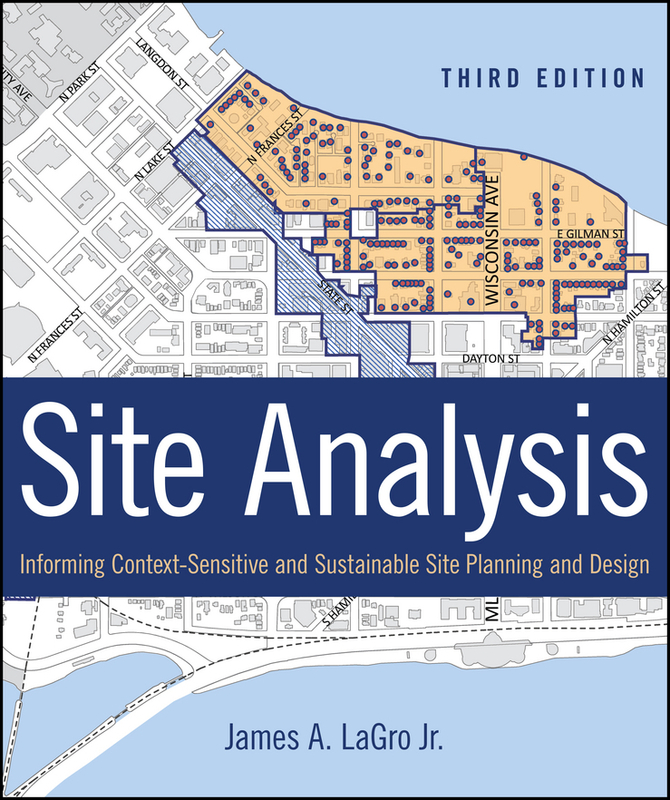 Informing Context-Sensitive and Sustainable Site Planning and Design, James A. LaGro, Jr.. Скачать или читать онлайн. Автор: James A. LaGro, Jr. The process-oriented guide to context-sensitive site selection, planning, and design Sustainable design is responsive to context. And each site has a unique set of physical, biological, cultural, and legal attributes that presents different opportunities and constraints for alternative uses of the site. Site analysis systematically evaluates these on-site and off-site factors to inform the design of places—including neighborhoods and communities—that are attractive, walkable, and climate-resilient. This Third Edition of Site Analysis is fully updated to cover the latest topics in low-impact, location-efficient design and development. This complete, user-friendly guide: Blends theory andpractice from the fields of landscape architecture, urban planning, architecture, geography, and urban design Addresses important sustainability topics, including LEED-ND, Sustainable Sites, STAR community index, and climate adaptation Details the objectives and visualization methods used in each phase of the site planning and design process Explains the influence of codes, ordinances, and site plan approval processes on the design of the built environment Includes more than 200 illustrations and eight case studies of projects completed by leading planning and design firms Site Analysis, Third Edition is the ideal guide for students taking courses in site analysis, site planning, and environmental design. New material includes review questions at the end of each chapter for students as well as early-career professionals preparing for the ARE, LARE, or AICP exams.